Post LASIK Ectasia followed by collagen cross-linking Attempted fitting with RGP lens but poor vision and unstable fit Fit with Custom Stable Elite provided great comfort, quality vision, corrected to 20/20 Patient was so happy with the performance of this lens that she opted for it in her other eye instead of soft lens! 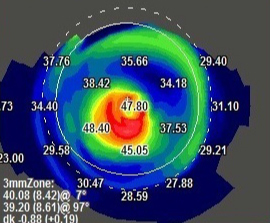 • 38 yo female referred by corneal specialist following CXL OD due to post LASIK Ectasia. 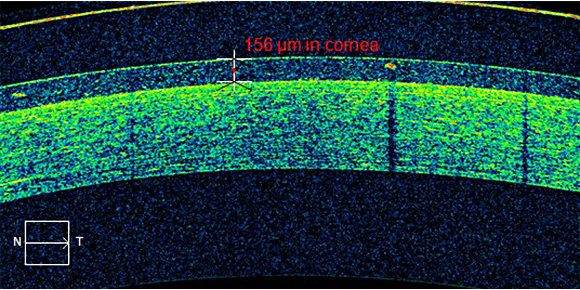 • Fit with Custom Stable Elite OD, anterior segment OCT shows central corneal clearance after lens has settled. 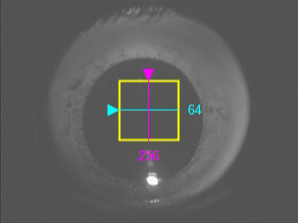 Vision corrected to 20/20 OD. 21 YO male presents for a specialty contact lens fitting. 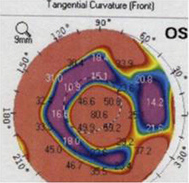 Referred by ophthalmology following Intacs corneal inserts and corneal crosslinking OS. 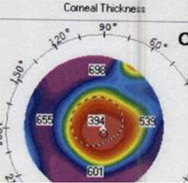 POHx: Keratoconus OS>>OD. History of unsuccessful fits with soft and hybrid contact lenses. Unhappy with vision in glasses. OD: Clean lids/lashes, trace injection and papillae on inferior conjunctiva, central apical corneal thinning without scarring or striae, A.C. deep and quiet. • Pt initially experienced debris in the tear film that was remedied with the use of 1-2 drops of viscous AT mixed with preservative saline upon insertion. 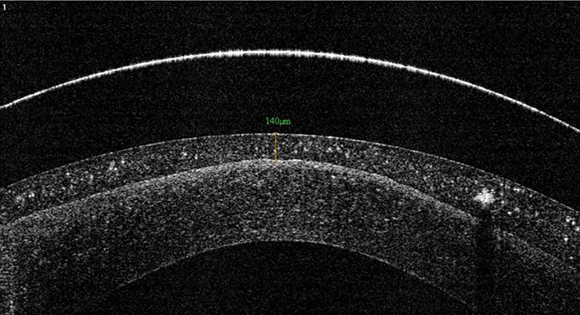 The patient has adapted to the lenses well without debris and no longer requires the ATs. 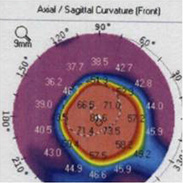 • Pt is extremely pleased with the comfort and vision he experiences with his new scleral lenses. Valley Contax is the world’s leading independent custom contact lens manufacturer. Since 1981 we’ve built a reputation and following for exceptional products and customer service. From our state-of-the-art facilities in Springfield, Oregon we staff the industries most talented lab technicians, customer care representatives and consultants. Contact us today, we’d love to get to know you. CharliRae has been with Valley Contax for two years. She’s one of the warm voices that’s a part of our amazing consulting team. Inside Scoop: I love the Easter Egg Hunt that we do every year! It is nice to get out of the office and do something fun!